Pick up from main Jaco Hotels, Jaco Hostels, Jaco Bed and Breakfast, Playa Hermosa and Playa Herradura. - Pick up from Main Hotels and Hostels in Jaco, Playa Herradura and Playa Hermosa. 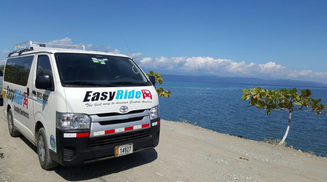 - 5 Daily shuttles from Jaco to SJO Airport .